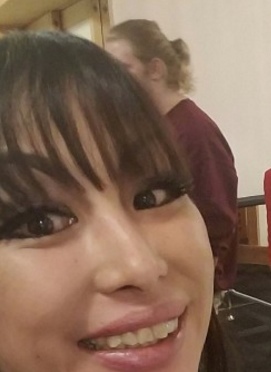 SPRING VALLEY — Tomomi Takahashi-Demetruk, 34, was one of three people found shot to death on the afternoon of Jan. 13 at an apartment complex located at 1122 Jamacha Lane near Jamacha Road. The San Diego County Sheriff’s Department has characterized the case as a murder-suicide. According to the San Diego County Medical Examiner’s Office, Takahashi-Demetruk and Jamal Richardson, 23, suffered multiple gunshot wounds and Terrence Andrada, 55, died from a self-inflicted gunshot wound to the chest. Takahashi-Demetruk and Richardson died at the scene; Andrada was taken to a hospital but soon succumbed to his injuries. The San Diego Union-Tribune quoted investigators as saying that Takahashi-Demetruk was renting a room in Andrada’s apartment, and that deputies were sent to the apartment after a woman believed to be Takahashi-Demetruk called 911 about someone in the apartment with a knife. Neighbors also called 911 after hearing a series of gunshots. Andrada was found near the front door of the second-floor apartment and the two victims were found dead, fully clothed, on a bed. Sheriff’s Lt. Kenneth Nelson said a handgun and shotgun were found, and both had been used in the shooting. A knife was also found but none of the three had stab wounds. Nelson said there was no evidence that there was an “outstanding suspect” in the case. NBC San Diego quoted neighbors and friends as saying that Andrada — whom they described as a wonderful landlord who often helped his tenants — had recently allowed Takakashi-Demetruk to move into an extra room in his apartment, but there were problems with her ex-boyfriend, who sometimes stayed the night. A source close to the investigation said Andrada told Takahashi-Demetruk and her ex-boyfriend the night before the shooting that they had three days to vacate the apartment. A celebration of life for Takahashi-Demetruk, who was known by her friends as “Mami,” was held on Jan. 20 at the Star Gazer Club in Chula Vista. Donations were accepted to be given toher family. Takahashi-Demetruck worked at Spin City Lounge in Chula Vista. As of Jan. 29, $5,785 had been raised by 86 people in 15 days.